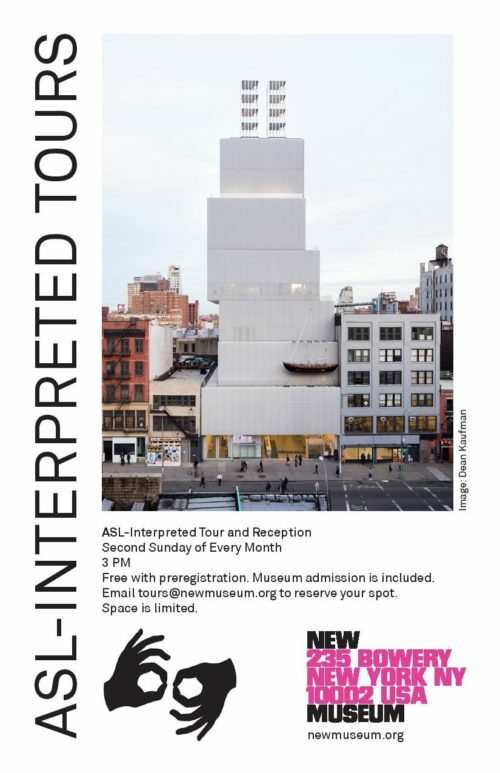 Join a New Museum docent and an American Sign Language (ASL) interpreter for a one-hour tour of our current exhibitions. Following the tour, participants are invited to join us for light refreshments. The tour is free with preregistration and includes museum admission.Please preregister here. Priority will be given to individuals who are deaf or hard of hearing. Due to limited capacity, ASL students will not be permitted to attend.